Only a third of Indonesian students – in a country where 57 million attend school – complete basic schooling. Education experts say less than half of the country’s teachers possess even the minimum qualifications to teach properly and teacher absenteeism hovers at around 20 percent. Many teachers in the public school system work outside of the classroom to improve their incomes. Indonesian Corruption Watch claims there are very few schools in the country that are clean of graft, bribery or embezzlement – with 40 percent of their budget siphoned off before it reaches the classroom. One of the Indonesian government’s responses to these findings has been to restructure the Indonesian curriculum, including postponing teaching science, geography and ENGLISH until students attend secondary school. For a nation economically prospering, geographically located in a region that looks set to be at the forefront of world economics and politics it seems a bemusing choice to make. Moreover the Indonesian education system does not encourage independent, creative thought but focusses more on learning by rote. Discipline is strict, commendation little and many students are expelled for what in the western world we would consider slight misbehaviour. The future success of communities and thus nations depends on today’s youth and the education they access. Nowhere is education more important than in the world’s poorest communities. 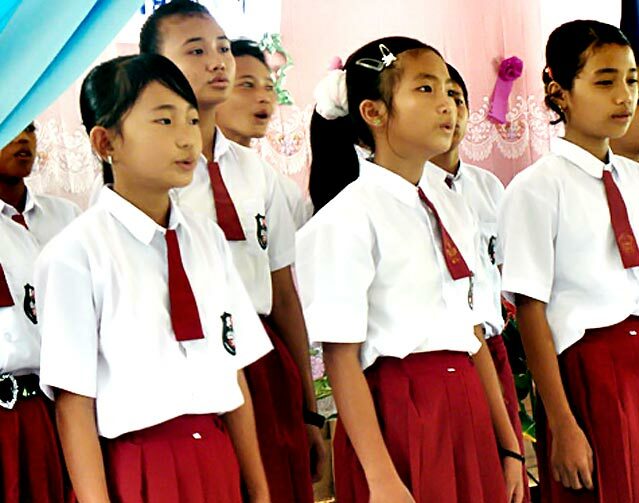 The education system in place in the Mentawais is characterised by many of the above facts. Often schools are closed as there are no teachers to teach. Materials and equipment are lacking or at best basic. Books few and far between. Technology non-existent. Teachers poorly quailfied. At a Liquid Future we are working hard to change that. A communications tower is being put in at a nearby town which will provide internet access. With money from upcoming fundraisers we are hoping to put in an internet connection and provide two computers to use as teaching resources and a salary for a local English teacher who is keen to be a part of the programme and include local Mentawai culture in his classes. Providing the youth of Katiet and the surrounding villages with access to knowledge and information will empower them to play a role in the many changes their area is going to see over the coming years. The local Mentawai government has already blue-printed extensive parts of the beach area here for tourist development. It would be a win-win situation for the local community, tourists and the environment if the upcoming local generation are informed, knowledgeable leaders able to be a part of it.